When you arrive at the car park, park your car in one of the designated drop off bays and unload your luggage. Check in with reception and hand over your keys, then we will transfer you to your designated terminal. It takes around 10-15 minutes to reach the terminal and buses run every 15-20 minutes. Instructions will be given on arrival. Heathrow Drivefly Park and Ride provides your car with security and you with peace of mind while you're away. 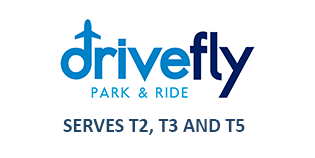 Serving terminals 2, 3 and 5, Drivefly Park and Ride is located just 4 miles from the airport, and a quick complimentary transfer bus which run every 15–20 minutes. This car park is open between 4am and midnight.